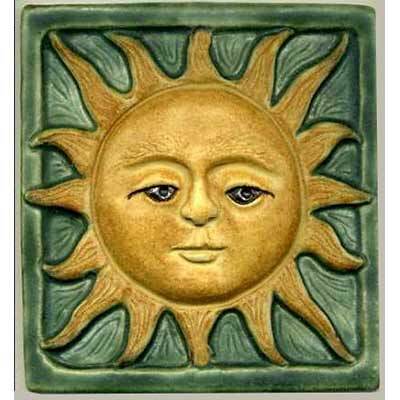 A 6" square tile, the Sun is carved in relief with a raised border. This deisgn is a companion to our 6" moon tile. 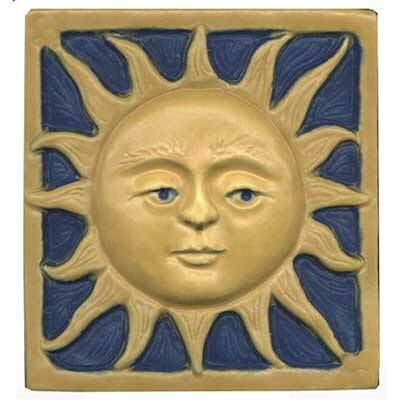 The Sun is available in any single stain or glaze or a two color option. Colors shown: pine green background with pharsalia sun; dark blue background with daisy yellow sun.